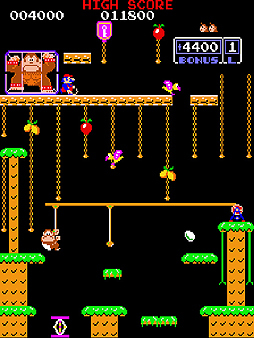 The arcade version of 1982’s Donkey Kong Jr. will release on Nintendo Switch December 21st in Japan. As an Arcade Archive release through publisher Hamster Corp., it will go for the usual $7.99 USD. This marks the first time that Donkey Kong Jr. has been made available in its original arcade form for the home market. Since its 1982 release, it has been ported to home consoles including the NES/Famicom, Atari 26- and 7800, ColecoVision, Intellivision, and on every single version of Virtual Console. 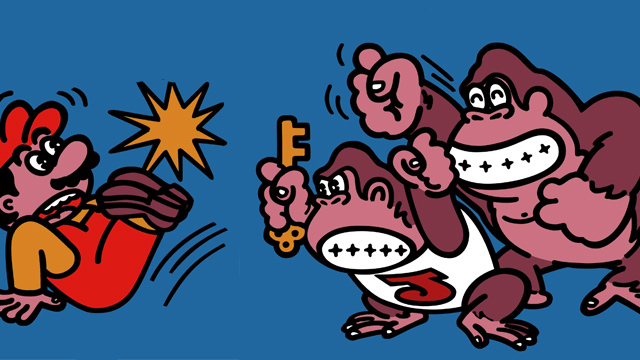 The game itself plays differently from 1981’s Donkey Kong, and marked the one time Nintendo’s iconic star Mario was a villain. With Donkey Kong Jr. and Donkey Kong now part of Arcade Archives, this leaves the trilogy capper Donkey Kong 3 absent for now. Other Nintendo arcade games currently available through the Arcade Archives label include Mario Bros., Punch-Out! !, and Vs. Excitebike.